5 Tips for How to Build Guitar Calluses | Zing! 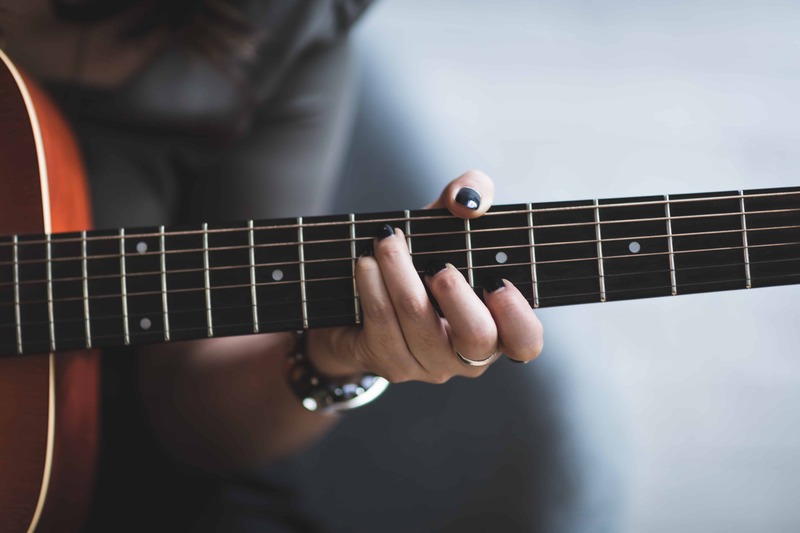 If you have recently started to learn to play the guitar, it is likely that you have experienced a horrible, burning pain in the tips of your fingers after each practice session. Is this normal? How long will this last for? When will I form calluses? Well, it is no myth that guitarists build calluses the more they play, and here are 5 practical tips to help yours grow as fast as possible! OK, so we’re starting with an obvious one. Of course, the key to building calluses is playing more and more, until they are as developed as the calluses of somebody else who has played that much! The phrase “no pain, no gain” really does ring true here, I am afraid. When your fingers are hurting, that is when you know your calluses are developing. You will feel quite proud when you start to notice the tough skin. Like a proper player :). As well as ensuring to practise, it is important that you practice effectively! Short, frequent sessions are preferable to long, painful(!) sessions. Not only will you learn faster, but your calluses will grow faster than if you practised for too long and ended up with blisters, instead! ​After a session, a tip which has been long credited to Eric Clapton is rubbing Isopropyl – rubbing alcohol – on our fingers. This will sting, so you might be keen to know the science behind if and how it works, before you go torturing yourself! Well, shortly and simply, yes! It works. The alcohol will dry your skin, and dry skin forms calluses. Yay! Thanks, Clapton. Short fingernails on your fretting hand are a must when learning the guitar. But, as well as helping you to play with more ease and accuracy, keeping these trimmed will also benefit your calluses! Calluses form from friction, and if your nails are long then they will relieve the pressure from your fingertip, thus stealing the friction! What is also cool is, once your calluses develop, you can tap on a surface using your fingertips and it sounds like you have long nails! Because they’re so tough. Cool, eh? You could ease your pain and use light strings, if you want to build calluses sloowwwly. If you want a speedier process, though, go masochistic. Heavier strings will mean heavier pressure, more friction, more pain and – oh – more gain! Be rock hard and your fingertips will soon join you. As we found out from the benefits of alcohol rub, calluses form on dry skin. This means no moisturiser on your painful fingertips, and also no playing when you have just got out of the bath! On the topic of baths, it is also best not to allow your developing calluses too much contact with warm/hot water, as it can remove them! That’s not an excuse to not do your dishes, just a recommendation to get some rubber gloves to protect your new fingertip friends! Do you know of any other tips to help growing calluses along? Please share them in the comments below!